Aerial VP is a global provider of Low Altitude Aerial Media. We specialize in Unmanned Aerial Camera Systems (Drones) with a passionate team of professionals. From cinematography, photography, 360 panorama, VR and mapping. With 6 years commercial expertise we excel in delivering a captivating new age aerial view! Be sure to view Aerial Demo Reel in 1080 by clicking on HD! Producing dynamic aerial content with sophisticated expertise. From micro to cinema Cameras. Going above with true cinematic composition. Fast, safe and precise inspection by drone. 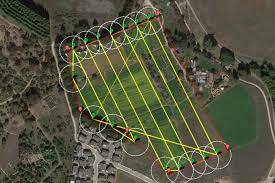 The perfect aerial data that drones are capable of providing. Solar panels, cell towers, construction, land, architecture and insurance imaging. High-resolution imaging. This technology provides the perfect stills from above. Real Estate, event, marketing, inspection and construction with micro to full frame cameras. From 3D interactive rendering and data to thermal imaging technology. More complex & interactive detail for developing sites. From High-resolution 360 degree pans to walk-through with our hand gimbal stabilized Cameras. Providing all-in-one marketing innovation. With a wide variety of stock videos & photos to choose from. We supply over-the-top aerial content to names such as NBC.
" Joshua was early, organized, well prepared and enthusiastic about our project. Not only did he take superb direction regarding the shots we wanted to capture, he used his drone expertise to offer up suggestions we hadn't really thought about. Great guy, phenomenal flyer... looking forward to working with Joshua again soon." "Joshua owner of Aerial VP, was very professional, punctual and had an incredibly efficient work ethic that made a very stressful shoot absolutely seamless. I highly recommend his talents to anyone interested in really raising the production value of any shoot."